If you’ve already experimented with trading Bitcoin for standard fiat currency using an exchange platform, or simply used Bitcoin to make a general purchase, you probably noticed that a tiny fee was applied to the transaction. Unless you’re a high-volume trader engaging in significant money movement, the standard fee applied to your Bitcoin trades and transactions is almost always the same: $0.04 in U.S. dollars. This amount equates to 0.0001 Bitcoin (BTC), which represents the generally accepted minimum recommended fee advised for most Bitcoin purchases. But many Bitcoin industry pitches emphasize the ability of cryptocurrency to limit, or even remove, the need for transaction fees charged by banks and other trusted third parties. So what gives? If adherents of Bitcoin proudly claim that the system is devoid of fees, but your transactions are being tabbed with small charges, something seems to be amiss. Do I Really Have to Pay Bitcoin Trading Fees? In the purest sense, the answer is no. You’re not required to pay any fees at all when making a trade or purchase using Bitcoin, hence the oft-repeated claims of “zero fees” by companies with an interest in cryptocurrency. In fact, most Bitcoin wallets actually allow you to set the fee for a given transaction yourself, so you can simply set the figure to nothing and avoid paying fees altogether. One thing to keep in mind about Bitcoin transaction fees is that the sender is traditionally responsible for paying them – not the recipient. So if you’ve been accepting Bitcoin payments as part of your business, while paying small fees each time, this is definitely one instance when you don’t have to pay them at all. You only need to pay trading fees when you’re sending Bitcoin or buying something with it; not receiving Bitcoin or accepting payments. As the sender or purchaser, tacking on fees, no matter how small, can seem like a nuisance to be sure. But in reality, Bitcoin transaction fees are the lifeblood of the entire “blockchain” system. What’s the Point of Bitcoin Trading Fees? The metadata associated with every single Bitcoin transaction ever conducted becomes part of a “block.” These blocks of data are then linked together in sequential order – dating back to the very first Bitcoin transaction, or the “Genesis Block” – to form the blockchain. The blockchain is the public ledger of all Bitcoin transactions, and without it, the whole concept of cryptocurrency would be rendered irrelevant. In order to add a new block to the blockchain, computers with immense calculation capacity are used to solve the intricate mathematical equations which act as security checks for every movement of Bitcoin. Not everyone has access to this kind of computing power, however, so a specialized segment of the Bitcoin user base known as “miners” set up server systems to handle the required computing power. Miners are the ones verifying all Bitcoin transactions, using computers capable of running billions of calculations per second to solve equations and provide the “proof” needed for full verification. Larger transaction data volume requires more work on the part of a miner to solve the equation, provide the proof, and add the new block to the blockchain – thus completing the transaction. But these miners have no reason to invest their time and technology to verify transactions for other users, so why do they work so hard? The answer lies in Bitcoin trading fees. By including that minimum recommended fee of 0.0001 BTC on general transactions, you provide a miner with proverbial “skin in the game” – or a monetary incentive to add your transaction’s block to the blockchain for completion. For this reason, transactions that have been set with extremely low fees, or none at all, tend to be ignored by miners altogether. After all, there’s no reason to devote energy to solving a transaction block for free, when countless others await with small fees attached. How Much Should I Pay for Bitcoin Trading Fees? When you can afford it, paying a slightly larger fee than the general accepted minimum is a great way to speed up the blockchain validation process. Obviously, if a miner notices that your transaction block is offering a little added incentive, they’ll be much more inclined to select it and begin the arduous verification process. So paying a little added “juice” on a transaction can streamline one of Bitcoin’s biggest headaches: waiting for your transaction block to be successfully validated and added to the blockchain. Conversely, by trying to game the system and avoid paying any fees at all, you’ll find your transaction held up for a long time as miners pass your transaction block over in favor of better options. In fact, transactions that wait too long for validation are usually rejected altogether, so including that standard 0.0001 BTC fee is the best way to go. Note that transactions smaller than 1,000 bytes, with all outputs at 0.01 BTC or larger, can usually be sent, validated, and completed without any fees attached. For the most part though, general transactions like online purchases and currency exchange will exceed those byte and output parameters, so the default for standard Bitcoin use is to attach the 0.0001 BTC fee. How Do I Decide on the Right Bitcoin Trading Fees? 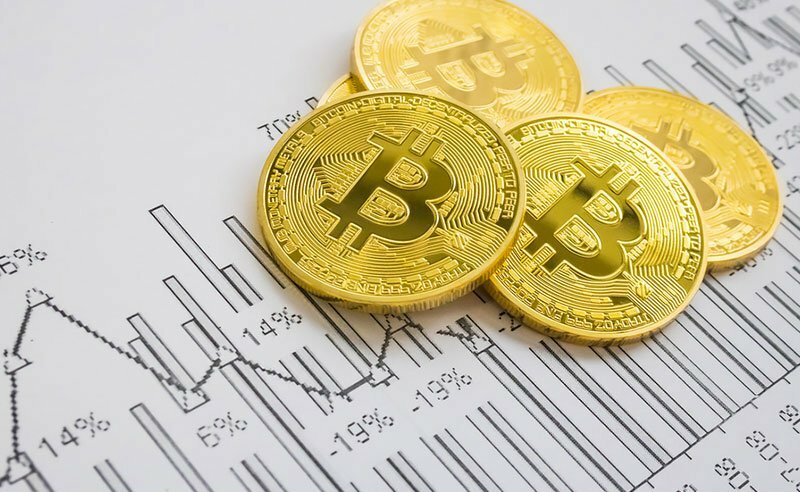 For the most part the standard minimum fee of 0.0001 BTC is advisable for basic purchases and exchanges, but in some cases you’ll want to increase the amount. As mentioned above, the most common reason to pay a higher fee is speed, as your transaction will be chosen by miners much more quickly if they know they’ll be paid a little bonus. Sites like BitCoinFees.21.co offer users a running database tracking blockchain additions, and the fees paid to complete them, which provides a baseline for determining fee levels vis a vis validation speed. According to the site, the quickest and most affordable trading fee is currently 80 satoshis (the smallest denomination of Bitcoin at 0.00000001 BTC) per byte. The site also reveals that the average transaction size is 226 bytes, so some simple math shows the average fee to be 18,080 satoshis (80 satoshis per byte x 226 bytes = 18,080 satoshis). Using a satoshi to dollars converter, we find that the average fee attached to Bitcoin transactions being validated more quickly than any others is $0.09 – or roughly double the minimum recommended fee. Learning the lingo of bytes and satoshis may seem like schoolwork, but when you realize that miners tend to choose transactions which offer the highest fee per byte ratio, figuring out how to modulate your fees to ensure timely validation becomes a breeze.